Glasgow Airport Delays & Your Right To Claim Compensation! Glasgow Airport opened in 1966 and was almost immediately successful. Over 1.5 million passengers used the airport during that first year. Flights went throughout the UK and Europe, clearly serving a need from the public. In 1975, the airport came under the supervision of the British Airports Authority. This ended in the 1980s, when international restrictions were lifted. Glasgow Airport became Glasgow International Airport. The ability to offer international flights helped the airport grow substantially. By 1994, the airport had 38 gates and served about 4 million passengers a year. By 2000, the annual number of passengers rose to 6.9 million. See the following link for a list of other airports and information. As with many airports, Glasgow International Airport has many passengers who fly on so-called budget airlines. In 2003, a satellite terminal specifically for these low cost airlines was built. This allowed for faster passenger check-in. 2008 saw a massive upgrade and expansion to the entire airport. Over £30 million was spent. These renovations includes additional shops, bars, restaurants and other passenger-friendly locations. Unfortunately, the decade was also marred by a terrorist incident. In 2007, a car loaded with propane tanks crashed into the terminal. While there was property damage, thankfully nobody was killed. What is a Typical Passenger Experience at this Airport? Today, the airport has 23 shops and 12 restaurants/bars. There are a variety of passenger services including a post, prayer room, several smoking areas, currency exchange and wireless Internet. Passengers with long wait times often enjoy the airport’s Sky Lounge. Open to anyone with a valid boarding pass, this club/wait area offers food, drinks and even fun. Unfortunately, Glasgow airport flight delays do occur. 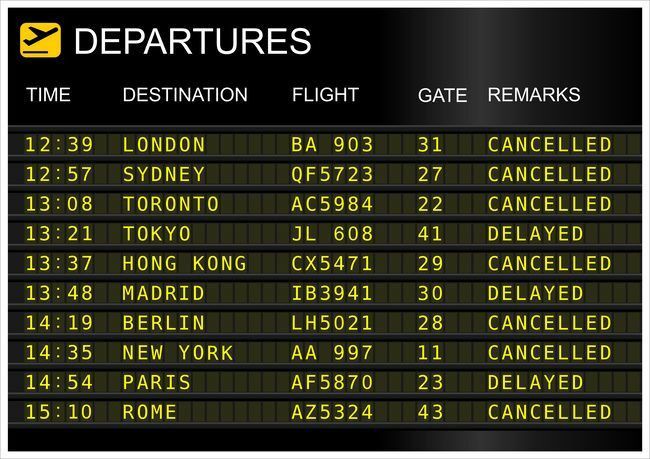 In order to receive financial compensation after a delay, passengers should seek outside assistance. Click the link below to learn about all the options available for airline travellers.